For most people, cars aren't just a means to get from point A to point B, they're a lifestyle. This is especially true when we're talking luxury vehicles. What you drive says a lot about you, your style, even your passions. So, using that knowledge to deliver experiences to match can be a super impactful way to drive loyalty. Volvo understands this and their latest partnership activation proves it. 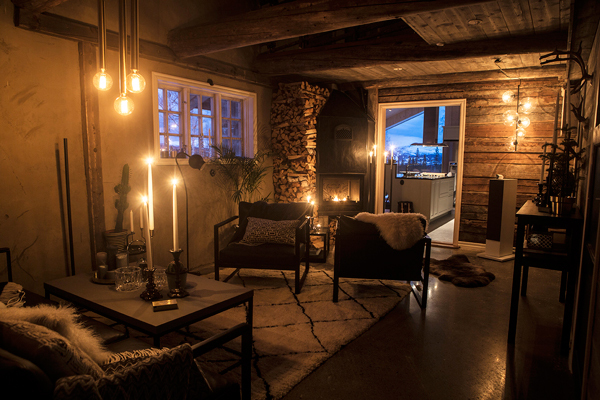 Volvo partnered with luxury hotel chain, Tablet Hotels, to create a pop-up luxury retreat experience called Get Away Lodge outside Are, a busy winter sports village in Sweden. People were invited too book a stay to reconnect with their passions through a variety of luxurious experiences like a yoga and meditation room, fireplaces in your room, winter sports gear for your use, and a cozy lounge area overlooking the beautiful Areskutan mountains. And, of course making sure they let customers experience their latest models in a meaningful way, during their entire stay they had access to the new Volvo V90 Cross Country, perfect for getting around those snowy roads. Excuse me while I go put in for some vacation time . . .